A married couple can normally choose separate returns for any reason. 2. Do Married Couples Have to File Joint on State Taxes if They Filed Joint on Federal Taxes? 3. Can I Claim My Domestic Partner on My IRS Form as a Dependent? Married couples are allowed to file either joint or separate returns, according to the Internal Revenue Service’s guidelines. Although it is normally advantageous to file a joint return, there are occasions when separate returns are preferred. The IRS does not require couples to be estranged or separated to opt out of joint returns. If you are legally separated as of Dec. 31 preceding your tax filing preparation, you normally should not choose the filing status of married, filing separately. Your correct filing status is single, or, if you meet the qualifications, head of household. If you have an interlocutory decree or have no separation agreement as of Dec. 31, the IRS considers you married, and you can choose the option of married, filing separately. Even if you are not legally separated, you may meet the criteria for head of household. You and your spouse cannot have lived together for at least the final six months of the year. In addition, you must have provided more than 50 percent of the cost of maintaining a home for at least six months in which you resided with a qualifying child. You must be able to claim the child as your dependent, provide more than half of his support, and obtain an agreement from the other parent that only you will claim the child as a dependent for the year. Normally, you will pay more income tax if you are married and file separate returns than you would pay filing jointly or as the head of household. The IRS will not allow you to deduct interest paid on student loans, take the tuition deduction, or claim the education tax credits. You will not be able to claim the earned income credit. Furthermore, if your spouse chooses to itemize deductions, you must itemize your deductions as well. 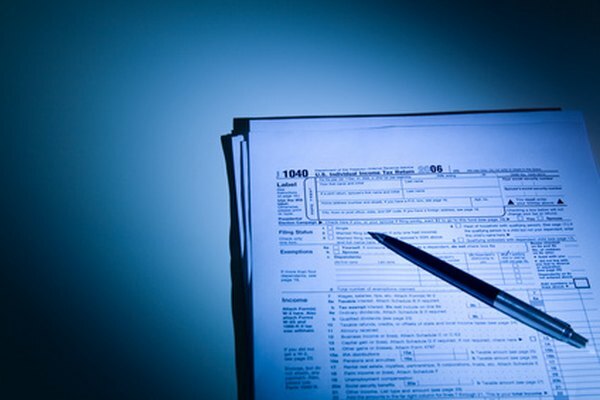 When you file separately, you are responsible for reporting your own income and deductions. Your liability is typically limited to the tax due on your own return, although if you live in a community property state, you may be subject to different regulations, which primarily relate to separating community income from individual income. If you suspect your spouse is guilty of tax evasion or fraud, filing separately helps protect you from the penalties or interest that the IRS may assess. You might also find an advantage in filing separately for other reasons. For example, medical deductions are limited to unreimbursed medical costs that exceed 7 percent of adjusted gross income. If your spouse suffers from an expensive uninsured illness and has a much lower income than you, it might be advantageous for him to file separately to minimize the 7-percent exclusion.